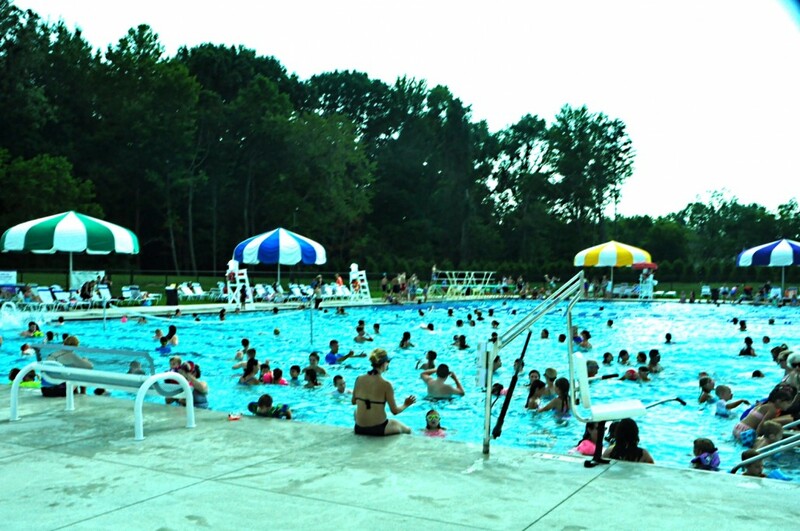 The Avon Pool features a vendor-operated concession stand which offers a good selection of snacks and sandwiches. Patrons are allowed to bring small amounts of food with them, but remember: COOLERS & FOOD FROM OUTSIDE VENDORS ARE STRICTLY PROHIBITED. There are picnic tables outside the pool area for picnicking. Help us keep the deck clean! Food should be consumed in designated eating areas such as the picnic tables, pavilion and grass areas. Noodles, rafts and inflatable attachments are prohibited at the Pool. Life jackets are available for your use (no-cost) or you can bring your own Coast Guard approved life jacket. The pool has a large number of play features for all ages which feature variations in water depth. For your safety, age, height and/or swim restrictions apply. WATER WALK [Water Depth = 42″-48″] — Non-swimmers under 48” should refrain from using this feature. Supervision is important. DIVING BOARDS — Children 12 and under must show competency in swimming 25 yards and treading water (swim tests are given at rest periods). AQUA PLAY FEATURES — Slides and wide slide are intended for children of elementary school age, small children with supervision and/or non-swimmers. Balls are permitted in the pool area but are to be restricted to the south shallow end of the pool or grass areas. Programs are scheduled in the morning as are specialized swim sessions. During these programs (parent & child) the Aqua Play feature remains off as we strive for “Quiet” time in the activity area. Rest periods are scheduled at the top of the hour. Adults may swim during this time and use the diving boards. All slides remain closed. From 11:00 a.m. – 12:00 p.m. on Saturday & Sundays, the 50m pool is reserved for adults. The entire area opens to children at noon.